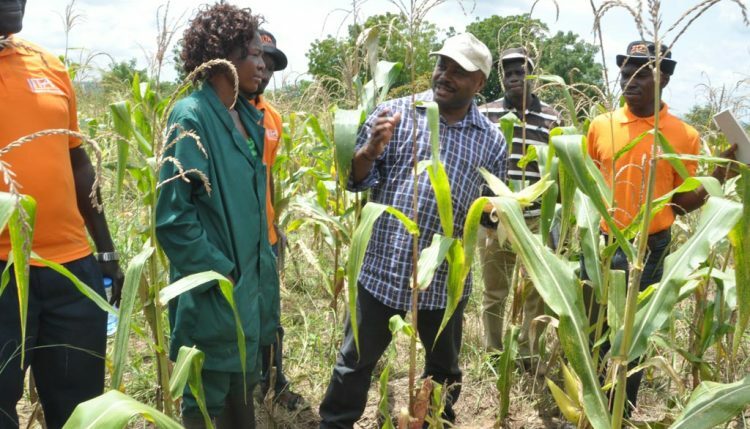 At the Annual Meeting of the African Development Bank (AfDB) in Lusaka, Zambia on 23 May, IITA Director General Nteranya Sanginga strongly affirmed that the African youth holds the ace to transforming the agricultural sector when given the right orientation and empowerment. DG Sanginga motivates IITA Youth Agripreneurs to go into value chain activities in maize. Speaking as a panelist at the meeting co-hosted by INCLUDE to discuss ‘jobs for women and young people’, DG Sanginga unequivocally stressed that young people can provide the much needed impetus to drive the next wave of development in Africa—but only if relevant stakeholders provide an enabling environment that will drive investments in agriculture. “Our youths are a resource that remains largely untapped whereas their energies could be channeled productively towards the sea of opportunities in the agricultural value chains. Only a well structured system can ensure that agriculture creates the business opportunities and decent employment along the various value chains for the millions of unemployed youth in Africa. What is needed at this stage is to change the mindset of young men and women towards agriculture and make it a more attractive profession. For many young people in Africa, agriculture represents an unprofitable sector that requires a lot of hard, back-breaking work. Agriculture needs the energy and skills of the youth to add value to the sector and turn it into a vibrant, successful, and fully commercial enterprise,” he said. 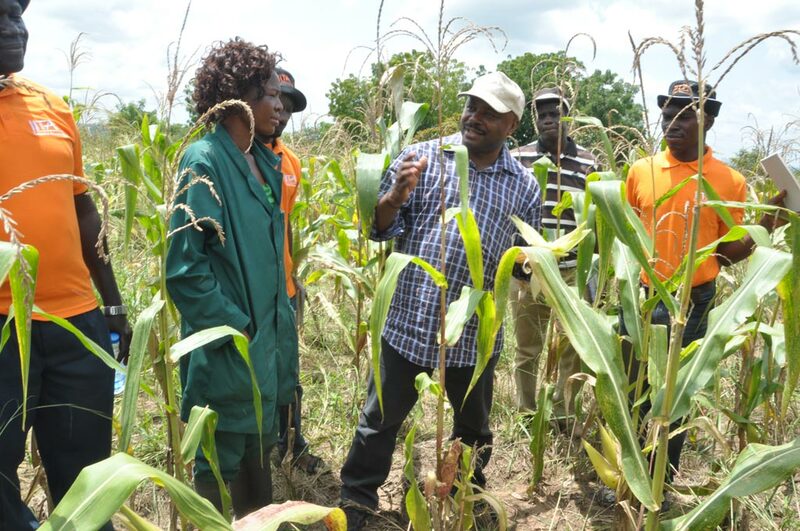 Highlighting the success of the IITA Youth Agripreneurs (IYA)—a pilot project to empower youths through agriculture, DG Sanginga noted that a change in perception towards agriculture could make a university graduate irrespective of his discipline successful in agribusiness. He also identified networking, and capacity and technical development, as other necessary ingredients for any agribusiness venture to thrive. Other panelists who also spoke at the meeting were Yana Watson Kakar, Global Managing Partner, Dalberg; Ada Osakwe, CEO, Agrolay Ventures; Jacqueline Novogratz, CEO, Acumen and Wanjiru Kamau-Rutenberg, Director General, Africa Women in Agriculture and Research and Development, AWARD.